This makes a good reference for homilists or anyone who is giving a talk about Jesus. This companion book gives an overview of Jesus from Scriptures, historical records, archaeology, and modern scholarship. Its format is the same as the popular Mary book format: tidbits of information and quotations in the margins. 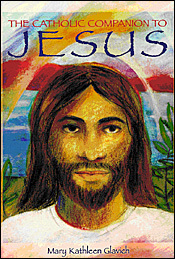 Anyone who wishes to know more about Jesus will welcome this comprehensive compilation. 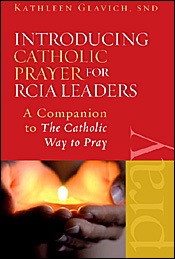 Introducing Catholic Prayer for RCIA Leaders is a companion book for this one. 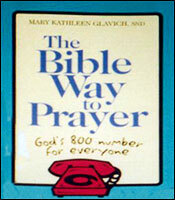 This book is for anyone who seeks to increase his or her understanding and practice of prayer. 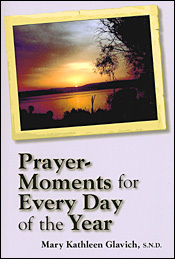 It contains information and inspiration to jumpstart a Catholic’s prayer life and covers a variety of prayer forms. RCIA candidates will especially benefit from it. 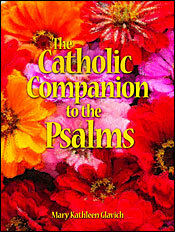 This book emerged from a talk Sr. Kathleen gave to a team of RCIA leaders. A complete resource for RCIA teams, this book covers the nature of prayer, what Jesus taught about it when and how to pray, and difficulties in prayers. It explains how praying with Scripture, the Divine Office, lectio divina, meditation, mantras, the rosary and more. Leaders will find especially valuable the tips for teaching prayer and answers for questions candidates may have. A synod on Scripture is being held in October, 2008, to encourage all people to "breathe the richness of Scripture." purpose, poetry, meaning, and various ways to pray them. Some groups are using this book for their monthly book discussions. This book presents Mary, the mother of God, as a flesh-and-blood woman whose faith was tested repeatedly and who, as our mother, cares about us. The story of her life is told using what research, theological study, and the experience of Catholics have revealed about her. 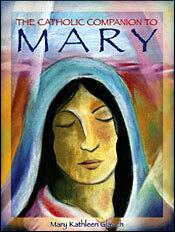 The book covers Marian apparitions as well as devotions and prayers to Mary. This book is a helpful gift to people preparing for this sacrament and for their family and friends. 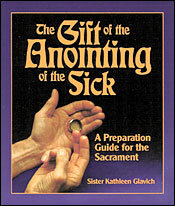 This book discusses the history and significance of this sacrament by which the Church supports and intercedes for the sick. It suggests how to prepare for it and explains the steps of the ritual. A question-and-answer section is included as well as prayers such as stations of the cross for the sick. This book makes a nice gift for those who have just been confirmed. This is a "how to" manual for Catholics that explains all things Catholic, especially how to live the faith with commitment. The book is full of spiritual practices and traditions, tips for deepening one’s personal relationship with Jesus, helps for reading and praying Scripture, and Catholic prayers and rituals. Interesting features include suggested Internet web sites, tidbits of information about the Catholic Church, and lists such as patron saints. 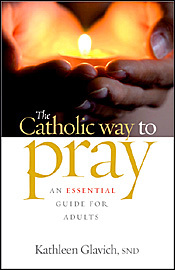 The book helps confirmed Catholics—new and old—live their faith abundantly 24/7. 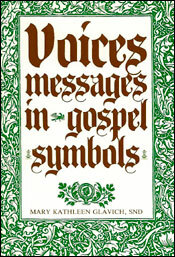 Sister Kathleen gives retreats and workshops called "You’ve Got Mail" using the ideas in this book. Because the Bible is intended to be a love letter from us to God, a personal letter, we can use it as a springboard to encountering God. The Bible Way to Prayer presents a variety of ways to personalize Bible reading, to savor God’s love in the Bible, and to delve into its richness. A few of the methods of praying with Scripture that are explained in this book are lectio divina, meditating with imagination, paraphrasing the psalms, and using Scripture mantras. Each chapter ends with questions for reflection and suggested prayer-activities. The book is written simply. Anyone can understand it and use it for spiritual growth. Bishop Robert Morneau wrote the foreword to this book. In it he says, "Voices should be read by parents, subway commuters, teachers, pastors, bartenders, and yes, even the author. There is no way of exhausting the power and meaning of images." In this book fifteen objects that play a role in the Gospel are pondered. They include wine, nets, perfume, sycamores, and even leftovers. Sister Kathleen reflects on what these images stand for, how they are used, and what they say to us. In the process an interesting patchwork of ideas from tradition and famous people takes shape. It is hoped that readers themselves look deeply into Scripture images and hear what they say about God and life. 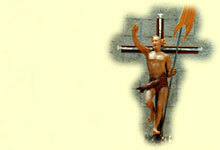 Part of a Taize prayer experience is sung mantras. One-line prayers repeated over and over (mantras) are a way to pray when you are too tired, worried, sad, or sick to pray any other way. The comforting repetition of the prayers brings about an awareness of God’s presence. This book is a collection of possible mantras culled from Scripture, the liturgy, traditional prayers, and prayers of the saints. The prayers are arranged according to 52 topics, seven per topic—one for every day of the year. There are additional mantras for the liturgical seasons. Various ways to pray the mantras are explained.